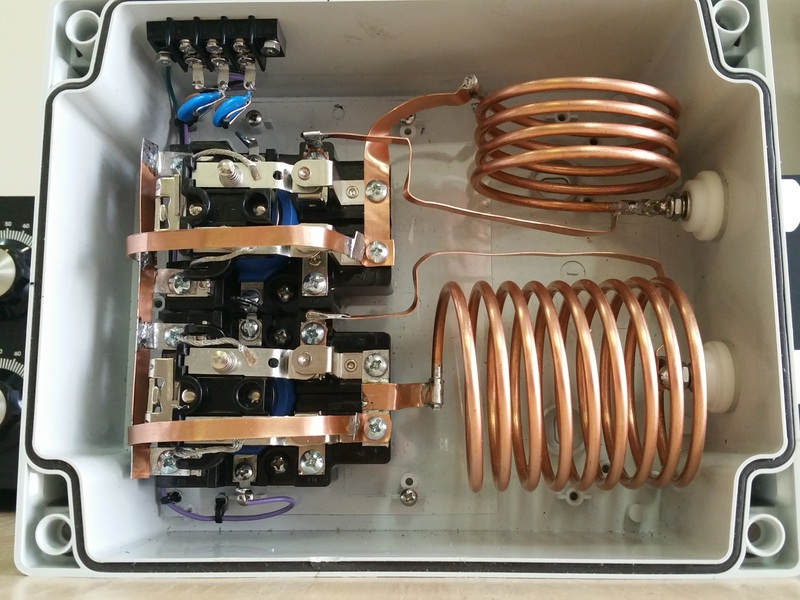 This box is to connect at the base of a 66 foot aluminum vertical pole. 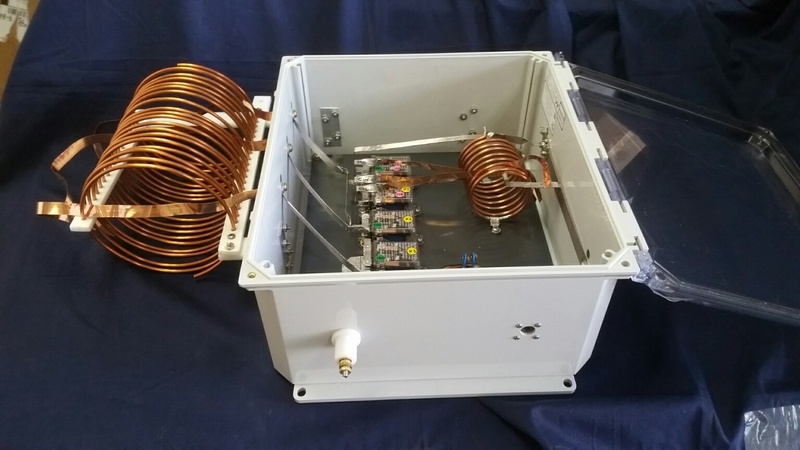 Its circuit allows to use the antenna on 160 m band and also on the different segments of the 80/75 m band. 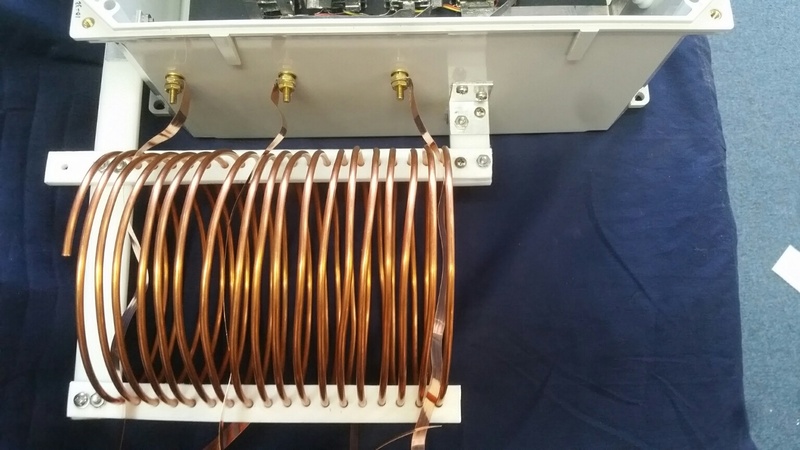 Modifications could be made to enable the vertical radiator to resonate on the 40 m band as well. 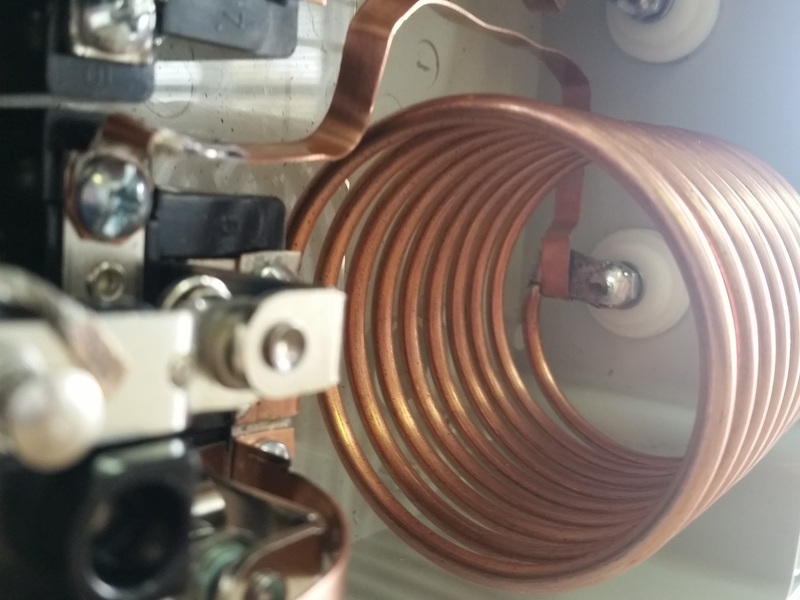 The copper straps are to be connected in-situ while tuning the system for the desired frequency ranges. 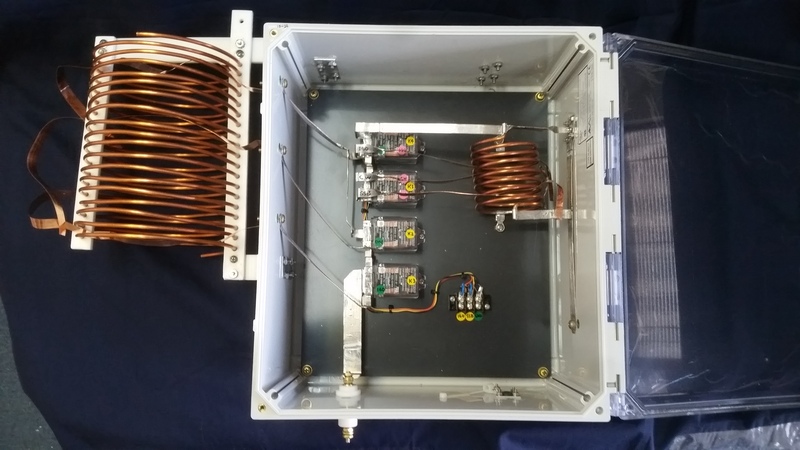 By JK Antennas request, we built the elements' tuning boxes for NR5M's new 75/80 m band stack of two JK803 antennas, (https://www.arraysolutions.com/jk803) the three elements Yagi antennas. 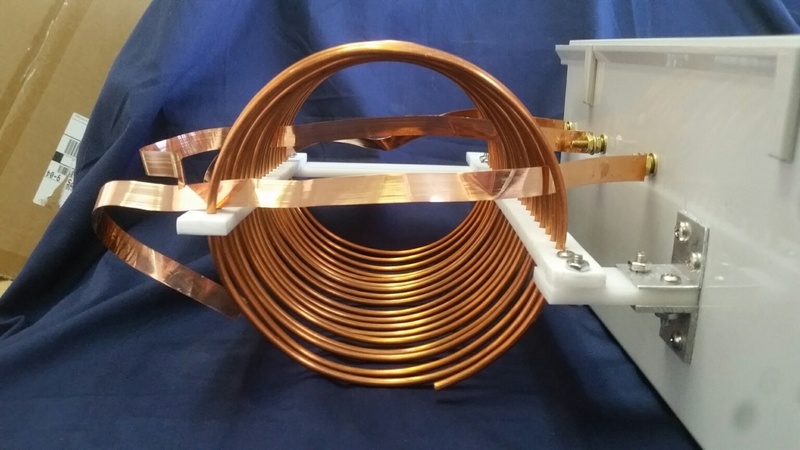 The elements are 100 feet long, the boxes regulate the amount of inductance to make the elements resonate at the proper frequencies for the SSB and CW segments of the band. 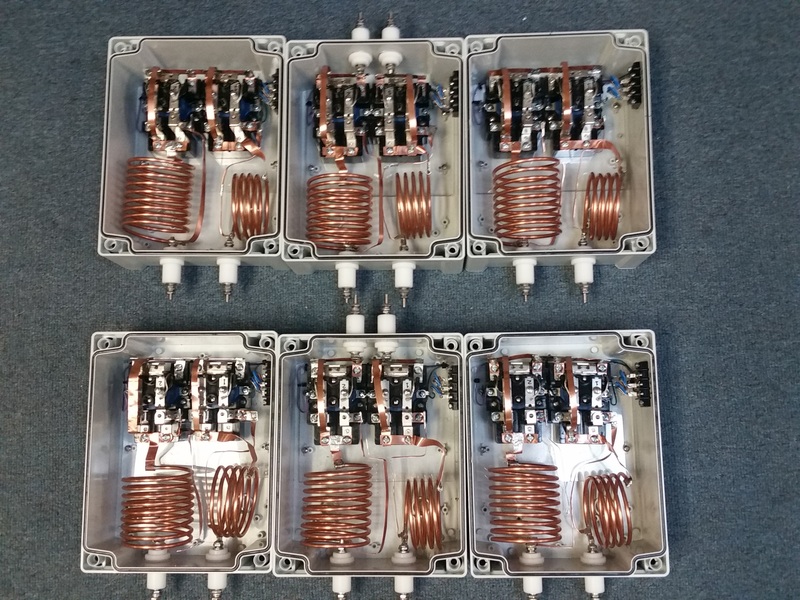 Six tuning boxes for six elements of the two JK803 antennas stack. Stack of two JK803 at NR5M (www.nr5m.com) for 80/75 m band covering the CW and SSB segments of the band. 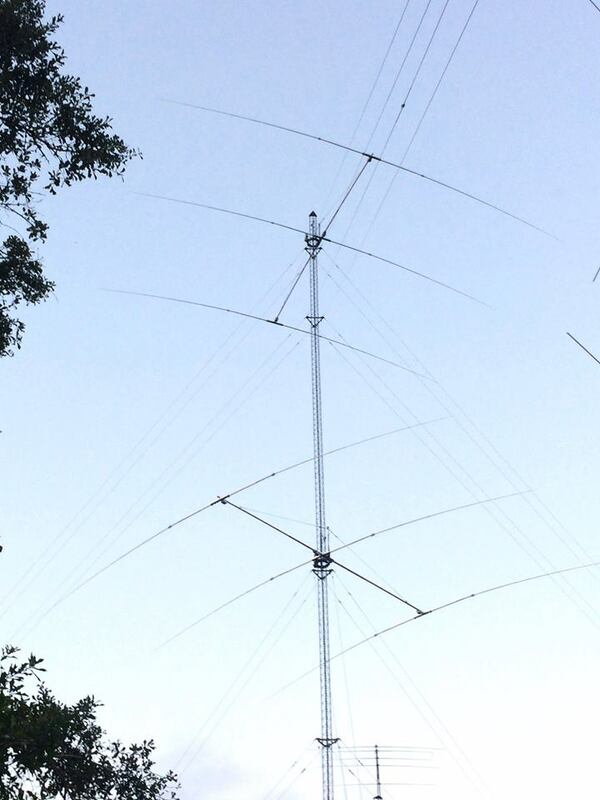 To put things on perspective, one these antennas would not fit within the limits of a basketball court.